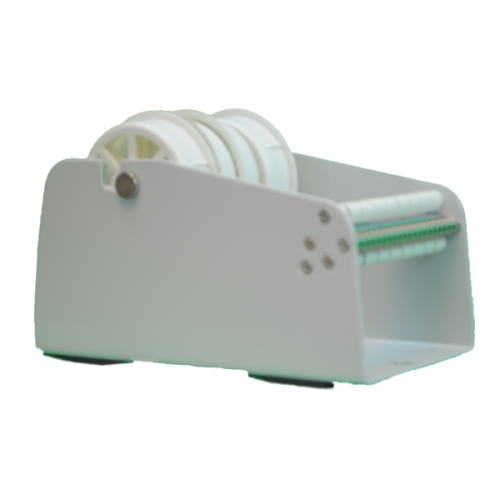 Tach-It MDL-65, a 6-1/2-inch wide Mechanical Label Dispenser, can be used either on a bench top or can be mounted vertically on a wall to save table space. 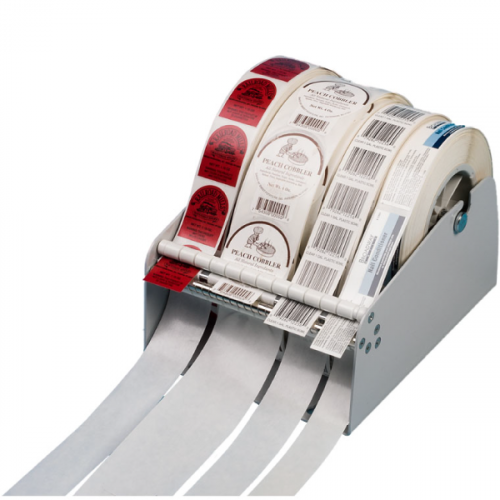 Constructed of all steel, these dispensers can handle large rolls of labels up to 7 inch in diameter on a 3 inch core. 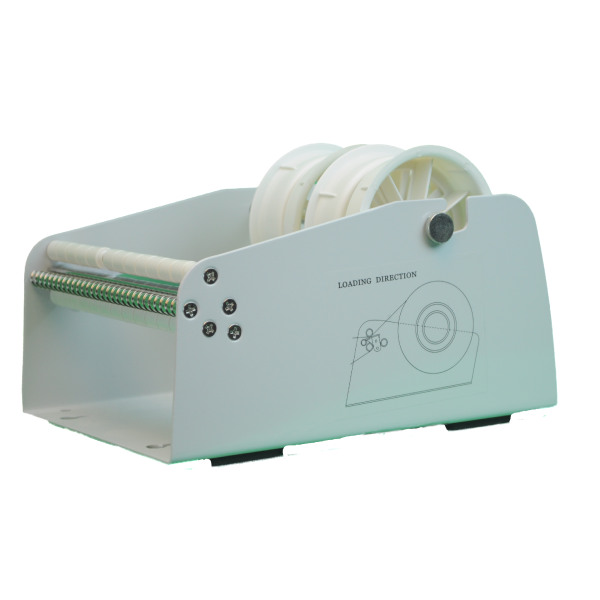 Able to be used for single or multiple rolls, the MDL-65 comes with 2 pairs of cores and additional cores can be ordered as needed.